Tree huggers be warned: Soon you may be picking up part of the energy bill for the neighbors who leave all the lights on. In a recent application to the state, Pacific Gas and Electric asked to raise service rates by 5 percent for their best energy-conserving customers, typically smaller households. The reason? To give price breaks of 2.5 to 5.7 percent to their biggest energy clients who use between 131 and 300 percent or more than the baseline monthly average. 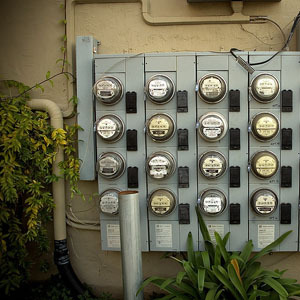 PG&E uses a five-tier system to differentiate their customers. The system is supposed to promote efficiency by charging lower rates to customers who use the least amount of energy. But the company, with corporate profits up 4.6 percent in the third quarter of this year, said they’re just trying to be fair. “It’s necessary to avoid the continued shifting of costs associated with utility services to a limited set of residential customers,” said PG&E spokesperson Joe Molica. Consumer advocates say the plan runs counter to PG&E’s expressed goal of increasing conservation. The rate increase comes on the heels of Senate Bill 695, which reversed legislation passed in response to the 2001 energy crisis and eventual Chapter 11 bankruptcy reorganization of PG&E. The cost of the bankruptcy reorganization, the 10th largest in U.S. history, was passed on to consumers. Since that time, energy-conserving customers have benefited from a state-imposed freeze on further rate hikes, while high energy users have seen their bills go up an average of 2.1 percent each year, according to the company. In an effort to meet a Dec. 17 deadline, the company has requested the California Public Utilities Commission to expedite their request by limiting the time the public has to file complaints against the increase. If approved by the state, the proposed increase would take place Jan. 1, 2010, along with a bundle of other rate hikes the company negotiated with the state three years ago. This is one big giant steaming plate of CRAP!!! I just got a letter from PG&E telling me that I was gonna receive a one-time credit on an upcoming bill because I was conserving energy. So this was just to PLACATE me in preparation for rate hike???? The state had BETTER tell them to shove it!!!! PG&E doesn’t own Potrero anymore. You need an accurate picture for your story. This article is very misleading. The rate structure has nothing to do with efficiency, only with the amount of use. PG&E has no information about the efficiency of a residential user. A large, efficient household pays almost at almost 5 times the rate of a small, wasteful one. They seem to think that only the relatively few large households should conserve. We should definitely fight this! If we bring pressure on the PUC to shut this down and get our reps involved, we can win. This is absurd. They should be charging the hogs more. Geez, can’t get a break!! Proof again that no good deed goes unpunished. If they are concerned only about their overusers, I should leave all the lights on and get a discount for it? John, it’s an interesting point that you make. However PG&E’s 5 tier pricing structure is based on the assumption that lower usage means higher efficiency — thus the financial incentives. The new proposal runs counter to that assumption. This is total BS. I work at keeping my energy consumption down; change to energy efficient lighting, put systems on power strips to turn them all off when not in use, bundle up rather than turn up heating, etc. and for what! ! ! ! Try to do the right thing and they stick it to you anyway. This should be a big Hell No to PG&E. It’s not so much that they are punishing the efficient users as punishing the high-usage customers less. Currently, when you go from Tier 2 to Tier 3, the rate doubles from 13 to 26 cents/kWh. The proposed change would reduce this ratio from 2x to about 1.8x. what?? Talk about twisted logic. Always screw the little guys doing the right thing so the big boys can maintain their nonsense. That is backwards thinking and anyone can tell that. It is wrong and it should not be done. Why is there a picture of Potrero PP? PG&E owned Hunters Point which has been decommissioned for a while now. Potrero is owned by Mirant. It’s true Mirant owns the Potrero Plant, but PG&E distributes the electricity produced there to San Franciscans. As a San Francisco resident who has just installed solar panels, I’m truly upset that they are raising rates in the lower tiers in order to provide savings at the higher tiers. It’s contrary to their alleged support of promoting energy efficiency. Another example of just how backwards things can be in this country. In Europe, gasoline is heavily taxed and therefore issues of consumption and efficiency are on everyone’s mind. By giving price breaks to the higher tiers, PG&E is effectively encouraging this higher use. The last, and perhaps most unfortunate point, is that this article is just coming out now, 22 days after PG&E’s filing. Their application proposes a schedule that limits comments to the first 20 days. So, if I’m reading that correctly, the window to provide feedback to the CPUC is already closed. Tony, I spoke with a representative at the CPUC yesterday, and he said you can still file a complaint. Because PG&E filed on Oct. 14th, the window would have been closed; however, because San Diego’s SDG&E filled a similar application with the state this week, a judge has combined both requests and extended the window for public comment. what do you expect from a company that has ex-enron and florida p&l folks on its board? that has paid hundreds of millions of cpuc money to accenture (formerly anderson consulting) to restructure the company with software that was never tested and new processes that were never designed for pg&e? ask pg&e about their emergency preparedness–the crews that they have laid off or pushed into early retirement, the lack of any equipment or materials to handle a crisis. meanwhile executives are still getting multimillion dollar bonuses, system maintenance is virtually nil, and workers are being relocated hundreds of miles from their homes at the whims of efficiency studies. this little hike is nothing; we’ve been robbed blind for the last three years, and the first disaster that hits will level us. The elites screw the poor yet again. Big surprise there. Go Solar… then they pay you at what ever the going rate might be. I WAS ONE OF THE FOLKS THAT ADVOCATED TRANSITION TO PUBLIC POWER. COMPLACENT RATEPAYERS INSISTED THAT THE UTILITY COULD DO THE BEST JOB…WELL, THEY HAVE, BUT FOR THEIR SHAREHOLDERS, NOT THEIR RATEPAYERS. NO.CALIFORNIA HAS SOME OF THE SMARTEST FOLKS LIVING IN THE USA…PLEASE WAKE UP – UTILITY CUSTOMERS, YOU ARE BEING ROBBED. SUPPORT PUBLIC POWER, IT WORKS EVERYWHERE ITS TRIED. POLITICIANS CANNOT STAND UP TO ENERGY COMPANY’S, WALL STREET,& GOV’T. RESTORE POWER TO THE PEOPLE. PERHAPS GOVERNOR JERRY BROWN STILL HAS THE QUENYONES TO DO THE RIGHT THING. GOOD LUCK TO US ALL! My neighbor has a big old house with 10 people living in it plus three big screen tvs. He complains about his 45 cent/kw hour electic bill but it’s his own fault for having so many kids and not putting grandma in the rest home. I live in a small house by myself and have a crappy old crt tv . I pay 9 cents a kw hour. I say make the breeders pay more so single people like me can have a lower bill.